Native ads, sometimes known as ‘recommended content’, or ‘promoted stories’ are a way of advertising content in a way that is ‘native’ to its environment. Different than traditional banner or display ads, which are clearly separate from the content, native ads will attempt to mimic the surrounding articles and pages. They can be a great tool to increase engagement with your site’s advertising, and when used properly, can be great for income. 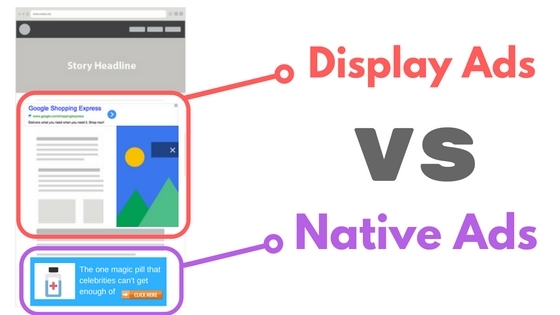 However, it’s important to strike a balance between your native ads vs display ads (we dive deep into how to do this here). In the breakdown below, we will highlight exactly how publishers should approach native ads and display ads on their site. According to Google trends, searches for ‘native ads’ have quickly grown over the past four years and now they are equal with ‘display ads’. This is a big deal; as display ads have been the definitive go to form on online advertising in the modern era. According to Moz, native ads are having a moment because ‘traditional paid media […] is becoming less effective year-over-year due to banner blindness running rampant’. Because native ads appear more relevant, they encourage clicks; which can make them a great tool to help increase your income. Yet, something that people rarely talk about is the effect that native ads can have on your other earnings. When not used with care, native ads can dilute overall earnings and actually be detrimental to your income. This is why no site should ever use eCPM or RPM as the primary unit for ad revenue measurement; as they are not taking into account user experience metrics & monetization together. Publishers often make the critical error of looking at increases in ad revenue as the de facto measurement of success. While the goal of the site may be to make money, if a site actually makes more money for a short period of time but makes much less money over the long term, this cannot be considered success. 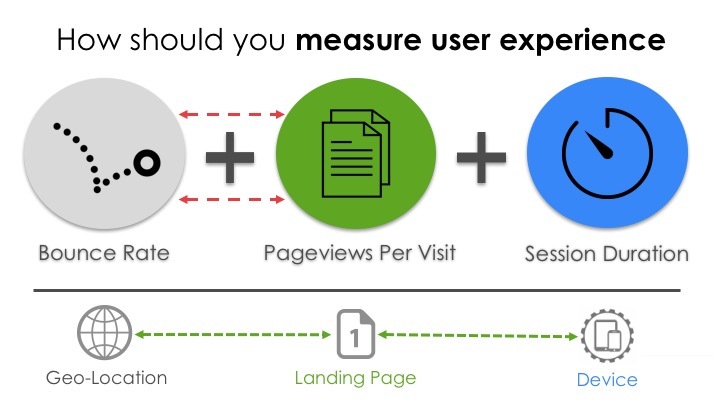 This is why total visitors, bounce rate, pageviews per visit, and session duration are such important metrics. If ad revenue is going up but visitors are going down, you may not be having ad revenue increases very long. Also, if pageviews, bounce rate, and session duration are all getting worse, there’s a good chance you are seeing users tell you that your site isn’t as valuable to them as it once was. Those users are your ad clickers and a decline in user experience metrics almost always signals long-term problems. Having native ads doesn’t necessarily make these user metrics worse and displays ads don’t necessarily make them better. However, it’s very important to understand that they both effect monetization on your site, and in fact, all ads affect other ads. Often site publishers will place a native ad unit on their site and start getting relatively high click throughs immediately; which is great when you’re being paid on a per click basis. They will then add more units, and start getting a great return from them — but their overall income will fall. This is because native units are designed to be engaging (at the best end of the spectrum) and downright clickbait fodder (at the worst). Let’s be honest, we’ve all seen those bottom of the barrel ad units before. 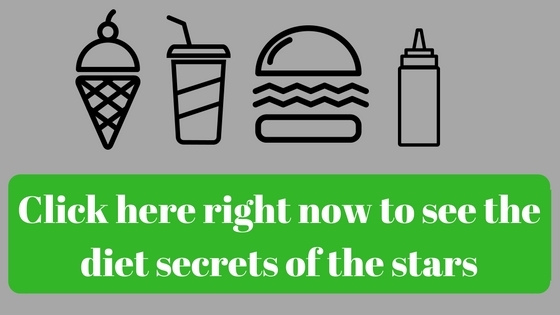 There can be a temptation to use native ads on pages that receive a lot of traffic since you’re getting paid every time a user clicks on them. But, every time your site shows a native ad, you’re essentially encouraging your readers to leave the site. This increases the bounce rate of high performing pages; which can be terrible for overall revenue. Those users could have visited more pages and potentially clicked on higher earning ads down the road. 2) Native ads affect display income. As I mentioned briefly above, ads affect other ads. Your native ads are affecting all other ads on your site pages. When a user leaves the site ‘early’, you are missing out on the income that could have been earned from your other display ads. Imagine you have native ads on a page that earn twice as many clicks as your display ads, and on that page you are now earning slightly more than you were with just display ads. Great, you might think, I am getting way more clicks and making more money, there is absolutely no way this can be bad, right? Wrong. Imagine you discover that the pageviews and bounce rate went up on that same page.You might think this is just the cost of doing business with native ads; however, you may not be considering that those additional pageviews could have been leading to other pages that earned even more revenue. You are not taking into account earnings as a whole; or the long term effect of these choices. In this example, you would be potentially harming your site long term, would make less money overall and you wouldn’t even know it. This is very common with sites that don’t use EPMV as a regular metric. 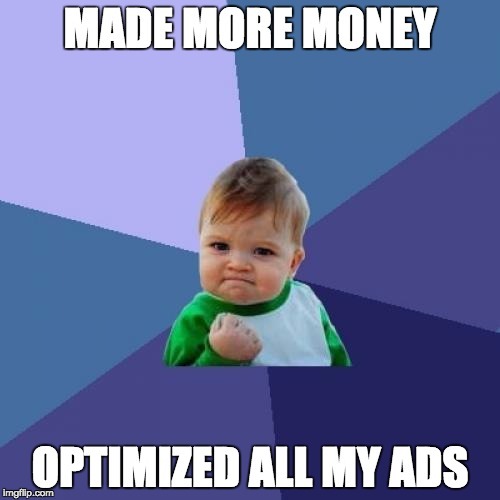 A really easy way to check that your native ads are helping, not hindering, your revenue goals is to measure your overall income using a metric which includes all of your ads combined (CPC, RPM, CPM) and also the user experience. EPMV — earnings per thousand visits — is the best way to do this. If this figure is higher after you’ve included native ad units on the site, it means you are earning more per visit, and you’re using them effectively. If not, don’t despair it can be done. If you have already inserted native ads onto the site and noticed a drop in overall session earnings, or in EPMV, it’s likely that either your bounce rate or pageviews per visit has been affected. 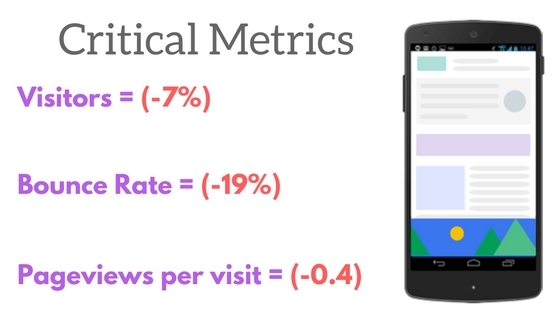 The first thing you should do is check these metrics for individual pages of your site. Use a tool like Google Analytics to monitor the bounce rate and pageviews per visit on important landing pages over time— if they’re going up, you need to make some changes. Ultimately, you want to monitor the way that each different combination of ad types and placements affects user behavior. Weighting high CPC ads towards the end of a user session means that you get the benefit of your users seeing more of your great content (and great display ads) whilst also getting the nice payoff when a user decides to click on some clickbaity native ads. One great strategy for optimizing ad combinations is to work out when a user would naturally be leaving the site (or bouncing) and encourage them to click on a native ad rather than using the back button! Pages with a naturally high bounce rate are a great place to try out native ad units because they pose a smaller risk of diluting overall income. One of the best ways to optimize ad combinations is to test every possible combination and then display different ad units depending on what types of users visit your site. This free tool will help you do this automatically. 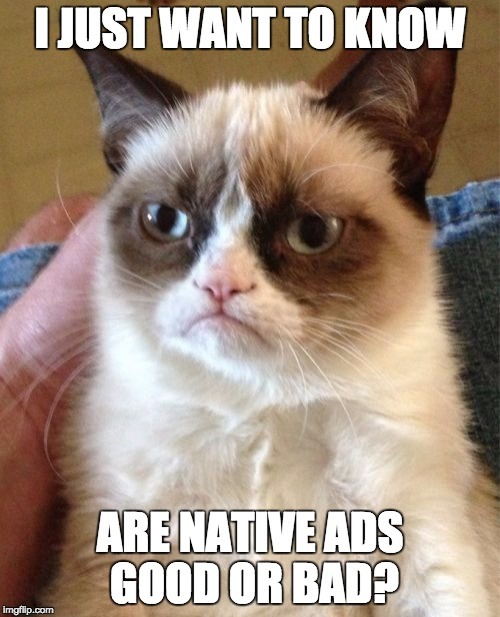 Native ads and display ads aren’t good or bad. They are different and they affect the way users experience your site. Use the tips above to optimize how they are both implemented on your site to find the combination that your users prefer. Ignore the media and agenda-driven third-parties. Let the data decide.